On Saturday February 13th 2016 the Elders Forum of Uganda and the Inter-Religious Council of Uganda will host their second Presidential Debate at Kampala Serena Hotel in Kampala. This will be a follow up to the first debate that was moderated by Mr. Allan Kasujja of BBC’s Newsday and Nancy Kacungire of KTN. Unlike the first debate that focused on the domestic policy issues the second debate is set to focus on Foreign Policy matters and will be moderated by veteran journalist and Voice of America’s — English to Africa, Managing Editor Dr. Shaka Ssali assisted by a yet to be determined Co-anchor. Following the news that the incumbent President Yoweri Museveni will be in attendance this time round we invited Justice James Ogoola – A retired Principal Judge of the High Court of Uganda and Mr. James Kitakule the Secretary, General Inter Religious Council of Uganda for our maiden The Political Talk Show – ‘Uganda Decides 2016’ to help set stage or the Preamble for the Next Presidential Debate. Below are some of the highlights of the show that aired LIVE on NBS Television 8th February 2016 and was moderated by journalists Ronnie Mayanja and Charles Ondontho. 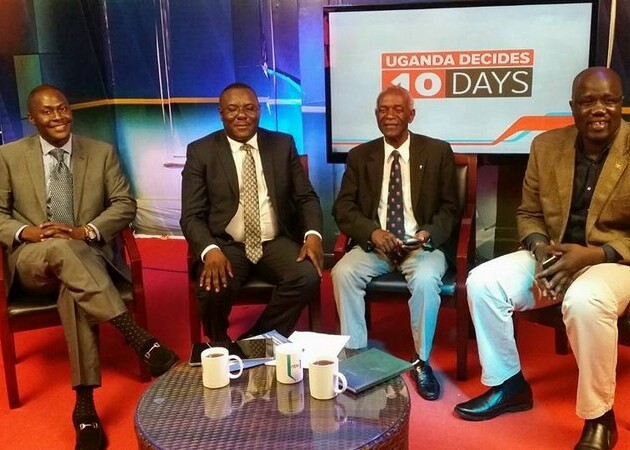 The show will air weeknights between 10pm and 11pm on NBS Tv and will offer an in-depth look and media analysis of the issues shaping the next general election. Thank you Ronnie Mayanja for interviewing these brilliant minds. So excited to see this platform and hope it keeps going for more generations, Looking forward to the next political talk show. Long Live Uganda.